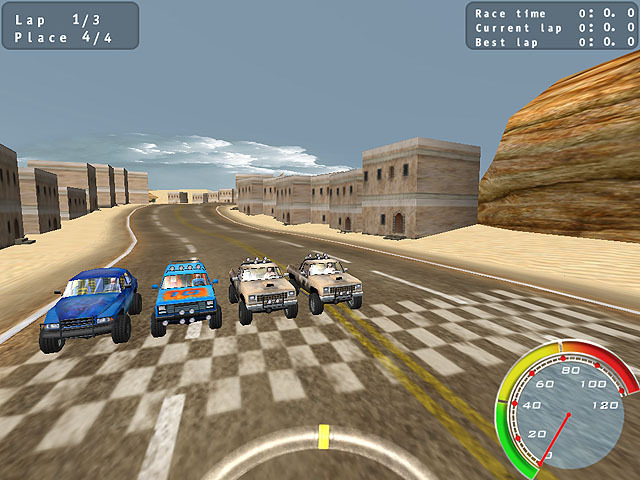 3d pickup racing game. The most desperate reckless drivers from around the world have broken free of the narrow urban framework. They go to places where the well-maintained roads are a rarity, and snow drifts, impassable mud and quicksand are common. They are not enticing sparkle and shine luxurious limousines and sweeping contours of the sports prototypes. Their only love is a powerful pickups, which are not afraid of desert heat and cold glaciers. Why do you need the roads if you have the means of transport to move around without them? Only in off-road games can you fully enjoy your trip off road on the different modes of transport, from motorcycles to tanks.